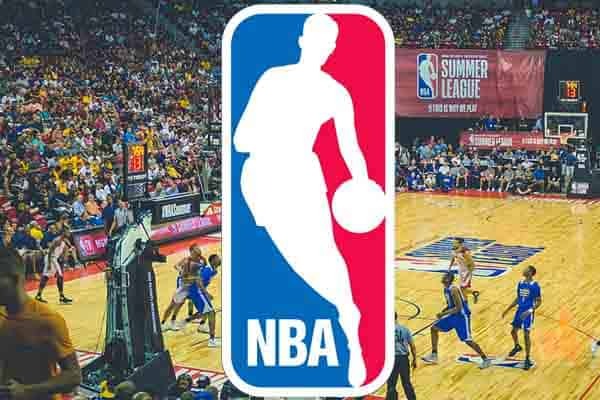 Data providers Genius Sports and Sportradar announced that the National Basketball League (NBA) will provide real-time data for in-game betting services during the 2019 season. The real-time data will be used by domestic, and online sportsbooks, to generate in-game betting odds that bettors can wager on. This privilege is non-exclusive and will extend to NBA and WNBA games. Genius Sports and Sportradar have worked with the NBA on previous occasions. Both companies have previously provided statistical data to international and US sportsbooks, but this year will be different. The NBA says that the speed of transmission for the data will help harbor the in-game sports betting market while providing reliable stats. Bookmakers have been reporting an increase for in-game or live betting and expect those numbers to rise giving the current landscape of USA online basketball betting. A FanDuel representative recently spoke at a gaming conference in New York and stated that 40% of the total amount wagered on their sportsbook was from in-game betting odds. Sportradar US president Matteo Monteverdi told ESPN that they see the market evolving more to an in-game betting platform and the ability to provide real-time data is crucial in delivering information for those odds. The NBA has not allowed official data to reach US sportsbooks until now. This is also the first NBA season start since the Professional and Amature Sports Protection Act (PASPA) was ruled unconstitutional in May of 2018. There are six states that have enacted domestic sports betting laws; New Jersey, Delaware, Mississippi, Pennsylvania, West Virginia, and Rhode Island. Nevada has had legal sports betting since before PASPA, and a New Mexico casino recently started accepting bets on sporting events. Altogether 8/50 states offer some form of domestic sports betting. NBA commissioner Adam Silva spoke in a press release about the matter and told a reporter that Sportradar and Genius Sports are proven leaders in data distribution and that the new partnership will help aid the best possible gaming experience for NBA fans. The NBA signed a partnership deal with MGM Resorts in June making the sportsbook operator the first official partner of the NBA. Part of the partnership deal included access to the official stat data feed. The NBA left the option open for other partnerships by offering a non-exclusive partnership that could eventually extend to other retailers and sportsbooks. Over the past year, MGM has partnered with the NHL, NBA, and recently released a press statement announcing that they have struck a deal with the MLB.